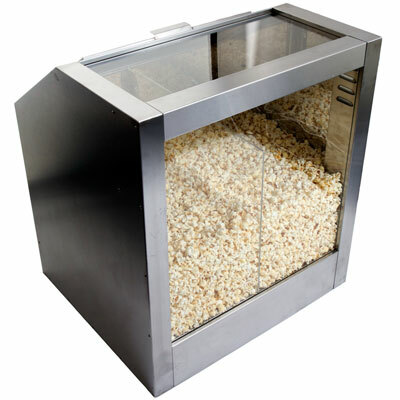 The 1200mm wide drop in Commercial Popcorn Staging Cabinet is designed for front counter use. 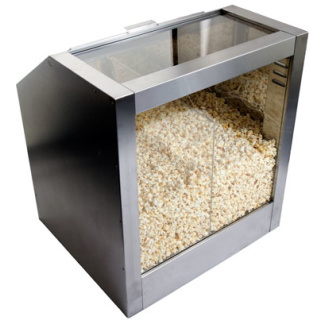 The cabinet uses a forced air Popcorn Crisping System, which will retain the taste and texture of your Popcorn. 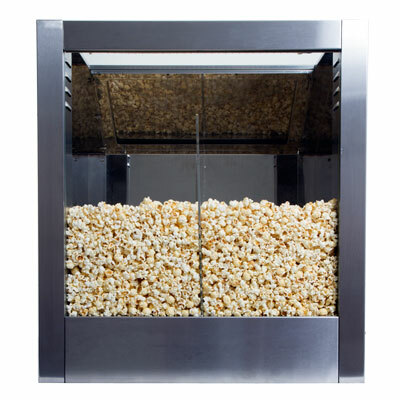 It will enable you to showcase your product underneath bright LED lights whilst being easily accessible from the rear by service staff. 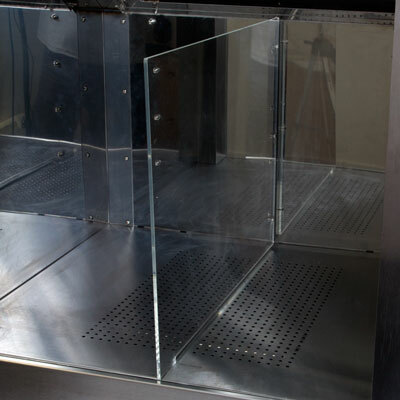 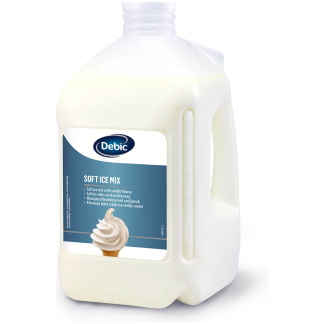 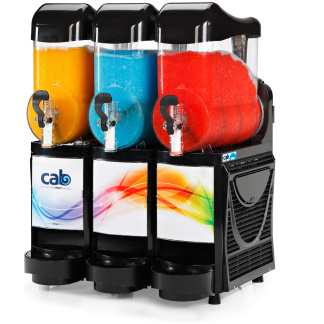 With a stainless steel frame this unit is extremely sturdy and easy to clean.